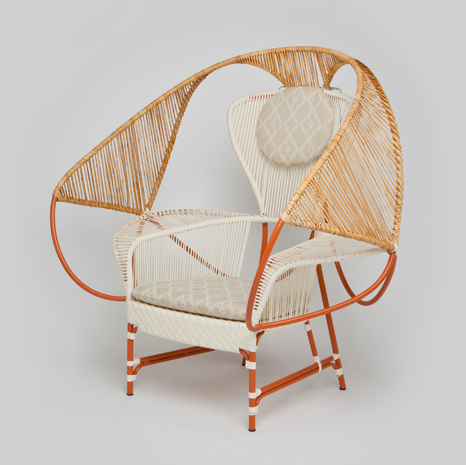 Aninag arm chair is a sophisticated hybrid of heritage and modern production methods inspired by traditional basket weaving and dwelling construction from the Philippines. A ‘chair within a chair' enclosed by a decorative layer features the playful and skillful use of natural and synthetic materials allowing the user to experience the craft. Aninag meaning ‘light’s play’ in Filipino applies to the translucent environment created by the form and the relationship between concealing and revealing elements.